She’s Not You is book one of the Elvis Series by Mimi Barbour. This book is currently available in e-book only. She’s Not You is a sweet and adorable romance that took me by surprise. Not usually being one to enjoy a romance, feeling they are ‘just a read for quick amusement’, Mimi Barbour managed to hook me in and grab my attention. I read a few reviews in regards to She’s Not You and others have written that they felt the book was a little predictable and unrealistic. Isn’t that how romance’s are meant to be? Mimi Barbour’s She’s Not You would probably be the first romance I have read that has come anywhere close to realistic. There were predictable parts but nothing that put me off the story. Other romances have left me laughing due to the ridiculousness of the plot, not Mimi Barbour, she put me in a feel good mood as I enjoyed the read. It may be important to note here that Mimi Barbour is an Amazon best-selling author having sold over 500,000 copies of her books world-wide. Apparently not everyone thinks they are predictable. So what is She’s Not You all about? Sick and alone with her three-year-old daughter at Christmastime, Belle Foster needs help. When her neighbour’s brother gets involved, she welcomes the soft-spoken good-looker into her world. Rescuing her kidnapped daughter isn’t part of the deal, but any man willing to babysit his sister’s menagerie of pets and cares that much about a stranger’s baby is a guy she wants to get to know much better. Jesse has only loved one woman in his life. Years ago, she left him with a broken heart, a crippling dependency and too many poignant memories. No one can replace her. No other woman has ever come close. So why does this loving mom continually sneak into his head? And why can’t he shake her loose? One needy girl in his life, a sister who expects him to live on a pedestal, is enough for any man. - Amazon book description. One thing I was questioning all the way through, and have not really answered even after a Google search, is why this series is called the Elvis series. I keep thinking back to whether Elvis and his music was mentioned within the book and cannot remember it being so. If it is the case it was a slight mention that got lost as I was so engrossed in the characters and story. Mimi Barbour has five series to her name: The Vicarage Bench, Angels with Attitudes, Vegas, Elvis and Undercover FBI. This is the first book by Mimi Barbour that I have read but I am looking forward to reading and reviewing more in the future. She’s Not You is now available in a box set which is looking appealing. 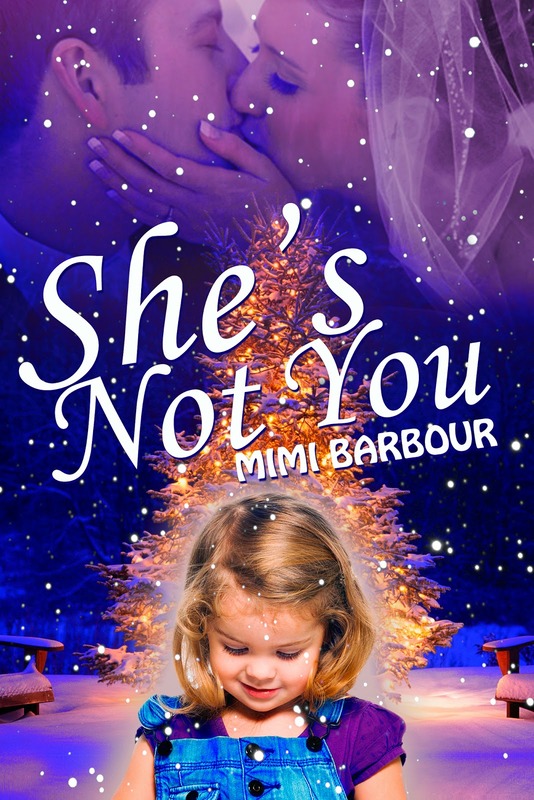 If you love a quick romance read definitely give She’s Not You by Mimi Barbour a download. It would provide a great holiday read during this festive season.